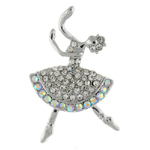 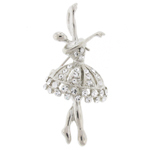 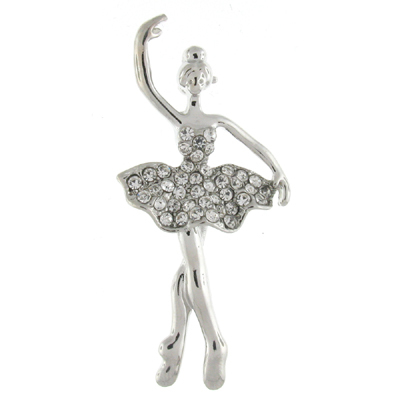 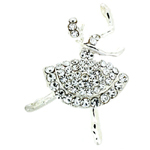 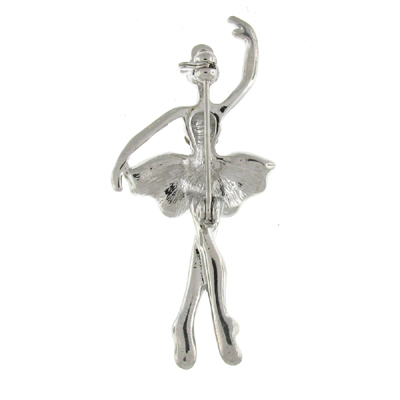 Contemporary dancing ballerina brooch encrusted by a range of clear crystals on a silver coloured frame and fastens with a flag pin and revolver clasp. 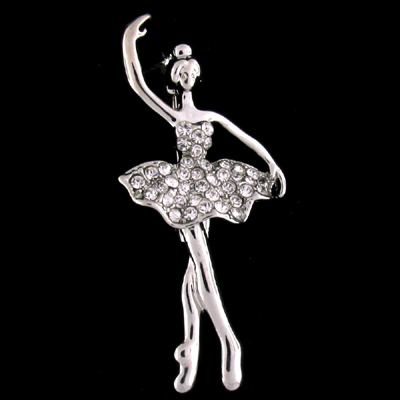 Size: 2.5 x 5.5 cms. 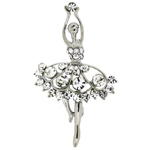 Exquisitely crafted to produce a stunning feminine design.